On 6, 7 and 8 February, we are happy to welcome our partners and meet new contacts at Fruit Logisitica in Berlin. 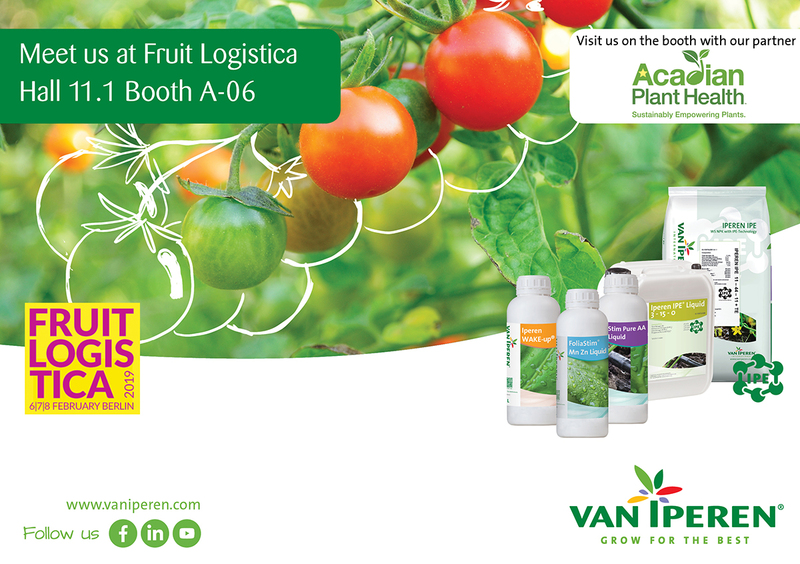 We will be present together with our partner Acadian Plant Health in Hall 11.1 Booth A-06. With 3.239 exhibitors and 78.000 trade visitors FRUIT LOGISTICA covers every single sector of the fresh produce business. From global players to small and medium-sized companies and organisations from all over the world the entire spectrum of the fresh fruit and vegetable sector will be present. Meet us Hall 11.1 Booth A-06, we would love to talk with you about our High Performing Solutions to improve fruit quality and marketable yield of your crops.